Revered musician/producer Alain Johannes is the subject of a new documentary film, “Unfinished Plan: The Path of Alain Johannes,” which will premiere in Los Angeles on Tuesday, December 11th at Laemmle’s Glendale Theatre (207 N Maryland Ave, Glendale, CA 91206). The private event for friends, collaborators and media will precede the film’s public debut that will show at the theatre from December 14th-20th. Alain Johannes is a Chilean born multi-instrumentalist and vocalist and part of one of the most influential generations in rock music. His involvement over the last 4 decades as a musician, producer, songwriter, mixer and engineer with acts like Chris Cornell, Queens of the Stone Age, No Doubt, Eagles of Death Metal, Puscifer, PJ Harvey, Desert Sessions, Arctic Monkeys, Them Crooked Vultures and Jimmy Eat World among many others has helped shape the sound of popular music enjoyed by millions of fans around the world. The new documentary, “Unfinished Plan: The Path of Alain Johannes,” was directed by fellow Chilean Rodolfo Gárate is narrated by the late Chris Cornell (Soundgarden) and Josh Homme(Kyuss, Queens of the Stone Age) among other notable collaborators and chronicles Johannes celebrated career, from his discovery of music as a child to his legendary work as a musician and producer, all of which were tragically overshadowed by the death of Natasha Shneider his wife and musical partner in the band Eleven. The Existential void left by her loss pushed him into a musical journey that takes him back to his country of origin after 45 years. 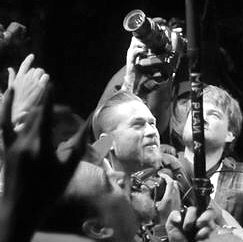 “Unfinished Plan: The Path of Alain Johannes” will soon be available to fans everywhere on demand, with distribution by Gravitas Ventures, a company focused on the release of musical documentaries.